The Chevrolet Silverado can handle any job you throw at it because it’s been through the most intense tests already. 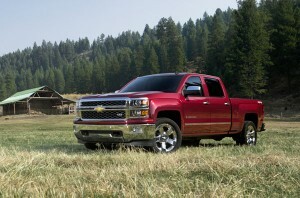 Want to know why the Silverado is such a great truck? Because Chevrolet logs millions of miles of “durability testing” before the Silverado actually reaches dealers and hits your driveway. 12.5 million miles of durability testing, in fact. Part of the refinement process was the 12.5 million miles of testing—Chevrolet drug the Silverado to extreme places like the desert of Arizona and the cold of Canada to test its capabilities under duress. The end result is one heck of a rugged truck: the frame is increased-strength steel, the brakes have Duralife brake rotors, and there is anti-chip coating on the lower body. The 2014 Silverado is battle tested and real road approved.